A senior political analyst says Russian President Vladimir Putin’s recent campaign gift to Israeli Prime Minister Benjamin Netanyahu was a humiliation for Syria. Political commentator Seyyed Hadi Borhani has, in an article, weighed in on Russia-Israel relations. He believes the cordial ties between Moscow and Tel Aviv come at the expense of Iranian and Syrian interests in the region. He has particularly referred to Putin’s recent move to gift Netanyahu the body of a missing Israeli soldier killed in fighting with Syrian forces in 1982, and described it as a humiliation for Syria. The full text of the opinion piece published on Khabar Online news website follows. Only a few days before Israeli elections when campaigning was in full swing, Israeli Prime Minister Benjamin Netanyahu received a warm welcome at the Kremlin before sending back to Israel the body of missing Israeli soldier Zachary Baumel killed in fighting with Syrian forces in Lebanon back in 1982. The images of Netanyahu standing next to the soldier’s coffin wrapped in the Israeli flag could possibly be the best subject for Bibi’s campaign posters in the last days of the election campaign in Israel. The pictures can portray Netanyahu as an Israeli hero and advocate of people’s interests. Incontrovertibly, Netanyahu owes this victory to Russian President Vladimir Putin. Russian forces led by Putin transferred the soldier’s body from Syria to Moscow without the permission of Damascus officials, and handed it over to Syria’s arch-foe. In this development, Russia not only overlooked Syria’s sovereignty over its own territory, but also humiliated Syria and its government. This comes at a time when the Israeli occupation of Golan Heights in Syria is the subject of hot debate in international circles and Netanyahu takes pride in having carried out hundreds of illegal military attacks on Syrian soil. The latest such attacks occurred exactly a few days before the transfer of the soldier’s body. This story clearly states Russia’s different position vis-a-vis Israel and its enemies, and is reminiscent of Moscow’s stance toward both sides of the conflict over the past decades. 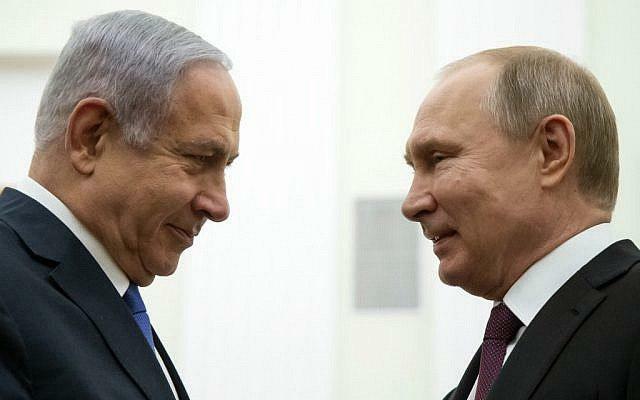 Moscow – which was long seen as an ally of Arabs and the resistance front by many anti-Israeli forces in the region – has, under the current sensitive juncture, given Israel the worst concessions the last of which was Putin’s gift to Netanyahu, a gift which could facilitate and reinforce Netanyahu’s victory in Israel’s elections. Netanyahu is exactly the same person that has led Israeli troops’ years-long offensives against Syrian soil and left no stone unturned to scuttle the Iran nuclear deal and exert pressure on Iran. Netanyahu has probably broken the record with regards to the number of meetings with Putin. Netanyahu’s numerous trips to Moscow, the warm welcomes extended to him at the Kremlin and the many concessions given to him by Russia show the two sides have stepped into a special domain of friendship, so much so that the interests of Russia’s closest allies such and Iran and Syria are easily compromised in this friendship and dealings associated with it. From the standpoint of realistic politics [which rule international relations], the stance adopted by Putin might seem justifiable. Putin is responsible for protecting Russia and its interests, and, to that end, would adopt whatever measure he deems fit, and Iran or Syria cannot expect Russia to design and plan its foreign policy in accordance with their interests. Having said that, one should bear in mind that Russia is not a reliable partner in fighting Israel’s expansionism and violations of law in the region despite some anti-Israeli positions it has adopted. Russia would like to have in its basket the eggs of regional nations’ struggles against Israel, so that it would be able to use that card in its major dealings with the West and Israel. Under such circumstances, one should not be surprised if these eggs are seen in Israel’s basket one day – eggs which have been gained through the resistance, sacrifice and struggles of the regional nations. Those at the Kremlin are an old hand at this!